We are a plumbing and heating company that has been established 7 years and have over 25 years experience in the field. This experience has enabled us to provide a service that satisfies the very different requirements of our clients be it private customers, landlords, tenants or agents. We offer a 24hr/7 day service, providing emergency evening, weekend and bank holiday cover for a number of our clients. Although our office is based in St. Albans, we cover North and West London and the Home Counties. We are Part “P” and Gas Safe registered (registration number 231067) and hold all the necessary insurance covers. We are happy to carry out any work from minor plumbing repairs to complete property refurbishment, including Landlord Gas Safety Certification, boiler replacements, bathroom installations etc. I first discovered a leak at 7am one morning so rang a number of supposedly 24/7 plumbers but had to leave messages - all of whom have still to contact me. I then unearthed an invoice from a previous job that Baker Smith had done for us and rang their number - despite it being early the phone was answered right away and things then progressed very smoothly to the completion of the job. On a separate occasion we had need to deal with a damaged toilet at our local scout hut. Baker Smith were on site at 0830am at very short notice, thus enabling the playgroup that uses the scout hut every morning to run as normal, saving the day for many parents and toddlers with minutes to spare! Also, in order to carry out this work for us they had had to re-organise their running order for the day. Whenever I next have need for a plumber Baker Smith will certainly be my first port of call. Baker Smith were called out on my behalf following a burst at my house. All I can say is that they were fantastic not only did they repair the leak, but Mark, a director took complete control of the situation arranged for all work, replacement floors, decorating etc. to be done. He kept in constant touch updating me with how things were going. They were expedient, extremely clean and careful workmen. I cannot fault them in any way and would recommend them to anyone without a second thought. BakerSmith was not my first choice simply because I went with a Which? Trusted Trader nearer to my home, but this company badly let me down as they regarded me asking questions as a sign that I did not trust them. When they pulled out a whole list of jobs I had planned was in danger of falling apart. I phoned BakerSmith in floods of tears and John Baker was wonderful (making me laugh and telling me that he didn't think I was being unreasonable), saying that he would send Mark (Smith) to look at the work and come up with an estimate. Mark came round within days and said the company would be able to carry out the work on the days that I had planned. What was even better was his estimate was lower than the original company. He explained everything brilliantly and was able to suggest that pipework could go under the floor boards when the other company said that pipe work would need to go on the outside of the house. I bombarded him with loads of questions and he answered every one. He never made me feel like a pest. Liam did the work and his work ethic was amazing. He was even able to give us hot water when the boiler was being changed over. 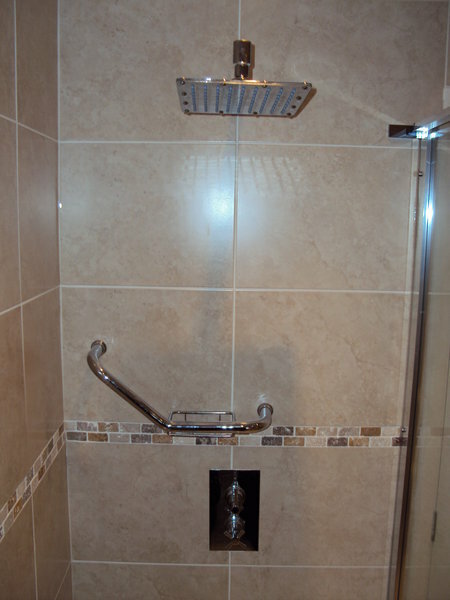 When he put our new shower in I wanted something changed so he came early the next working day and fixed it. I will never trust another company with our heating and plumbing ever again. Recently needed attention to my downstairs toilet. I had tried another plumber but he didn't bother to phone me back despite promises. Requested help and very pleasant plumber came same day. Resolved problem within the hour. Made no attempt to drag out time, which is known. Would recommend.